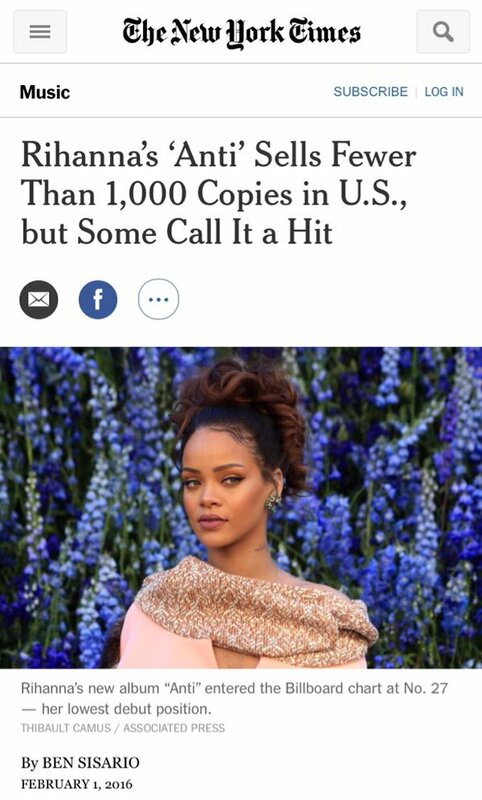 It was actually an unnamed source quoted by the New York Times that proclaimed Rihanna's 'ANTi' album selling just 460 copies during its 15 hours of charting. Forbes makes the argument that it's impossible to debut at #27 on Billboard with just 460 copies. On top of that, when the number of streams (proclaimed by this unnamed source) is converted, this works out to be more than the number announced. Their example for instance, is that the number ten album this week shifted 31,000 units, combining streams and sales. A Tidal rep has already come clean that the 400,000+ albums purchased were global and not Stateside sales as they were trying to make out initially. 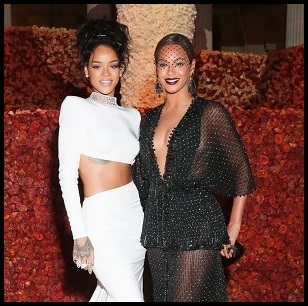 Forbes has shed further light on that stating those numbers are most likely for the 44 countries where Tidal exists and that Billboard only counts America's sales for it's album charts. 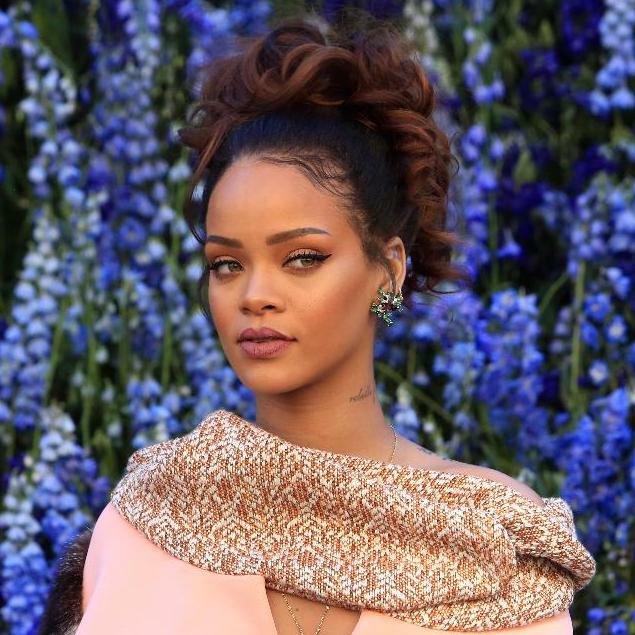 Is the New York Times "anti"-Rihanna right now?